The Commission for Independent Education, an agency of the Florida Department of Education, has statutory responsibilities in matters relating to nonpublic, postsecondary, educational institutions. 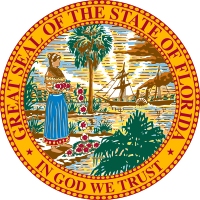 Under this Commission, Religious institutions that meet the requirements found in Section 1005.06(1)(f), Florida Statutes and Rule 6E-5.001, Florida Administrative Code are not under the jurisdiction or purview of the Commission for Independent Education and are not required to obtain licensure. As a religious institution, Central Christian University is one of the nonpublic, postsecondary, educational institutions that are exempt from state licensure. Click here to visit their website www.fldoe.org. Central Christian University is a degree-granting Advanced Member of the Florida Council of Private Colleges, Inc. (FCPC). The FCPC represents its private, faith-based, post-secondary educational institution members before any individual, private or government educational organization. The FCPC educational standards are patterned after our early historical educational institutions of higher learning for the following: faculty, academic curriculum, course development, campus and/or distance learning operations, catalogs, brochures, advertisements, application forms, financial information, and student records and transcripts. Click here to visit their website www.fcpc-edu.org. It is the evaluation from a certifier of the quality of education of universities, professional institutions and independent experts. Institutions of higher education voluntarily undergo this process. What does the Certification evaluate? In a mandatory form, any college, vocational school or technical training center must submit an evaluation of institutional management and teaching conducive to the diploma. It is optional to submit in area subjects of evaluation research, connectedness and postgraduate teaching. What happens if we are NOT certified? The university and all its members lose prestige in front of the public opinion. If the university is not certified, the professional diploma of their graduates retains validity. It allows us to continually self-assess ourselves and develop plans for intervention on the quality of education. It allows us to see our strengths and weaknesses by constantly evaluating our programs, and most importantly it allows us to coordinate support among all stakeholders of the university community to face challenges of change for improving the general conditions of education.